KE00020 is a solid phase sandwich Enzyme Linked-Immuno-Sorbent Assay (Sandwich ELISA). 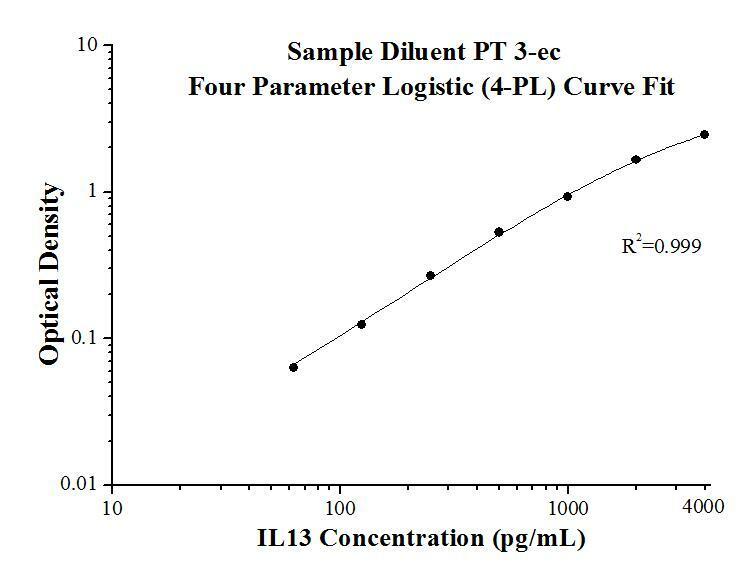 The IL13 ELISA kit is to be used to detect and quantify protein levels of endogenous IL13. The assay recognizes human IL13. A monoclonal antibody specific for IL13 has been pre-coated onto the microwells. The IL13 protein in samples is captured by the coated antibody after incubation. Following extensive washing, a polyclonal antibody of biotinylated specific for IL13 is added to detect the captured IL13 protein. For signal development, Streptavidin-HRP is added, followed by Tetramethyl-benzidine (TMB) reagent. Solution containing sulfuric acid is used to stop color development and the color intensity which is proportional to the quantity of bound protein is measurable at 450nm with the correction wavelength set at 630 nm. Interleukin 13 (IL-13) is an immunoregulatory cytokine produced primarily by activated Th2 cells. This cytokine is involved in several stages of B-cell maturation and differentiation. IL-13 up-regulates CD23 and MHC class II expression, and promotes IgE isotype switching of B cells. 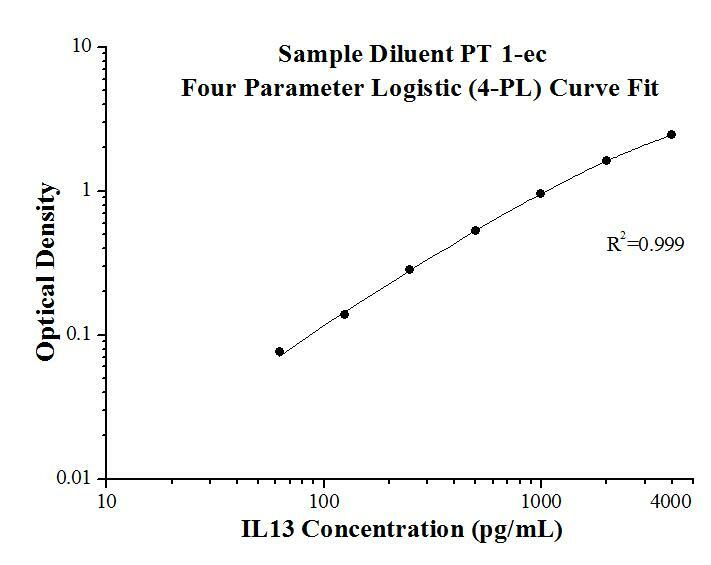 IL-13 inhibits the production of a series of cytokines like IL-1, IL-6, TNF-alpha, and IL-8 by activated human monocytes. IL-13 induces IFN-gamma production by NK cells. IL-13 is thought to be important cytokine in the pathogenesis of asthma, and more recently has been shown to play a pivotal role in a number of fibrotic diseases including hepatic and pulmonary fibrosis, and nodular sclerosing Hodgkin’s disease.